And now for something completely boring. I have to add a little boating content just to keep things salty. 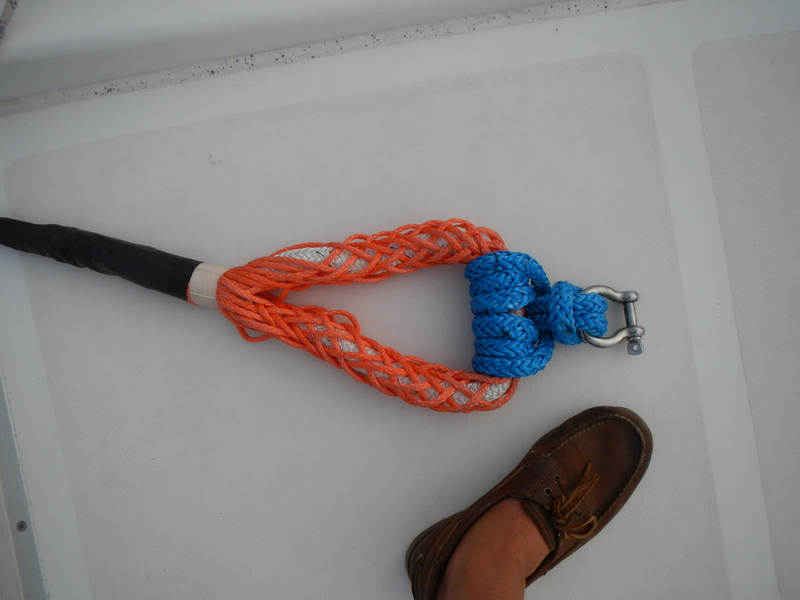 We have a 7/8″ double braid rope as our backup anchor rode. We will connect it to 40′ of chain and then the anchor. A metal thimble (metal piece that goes inside a loop of rope to attach to other metal things) for this size rope is a big hunk of metal that I don’t want flinging around. 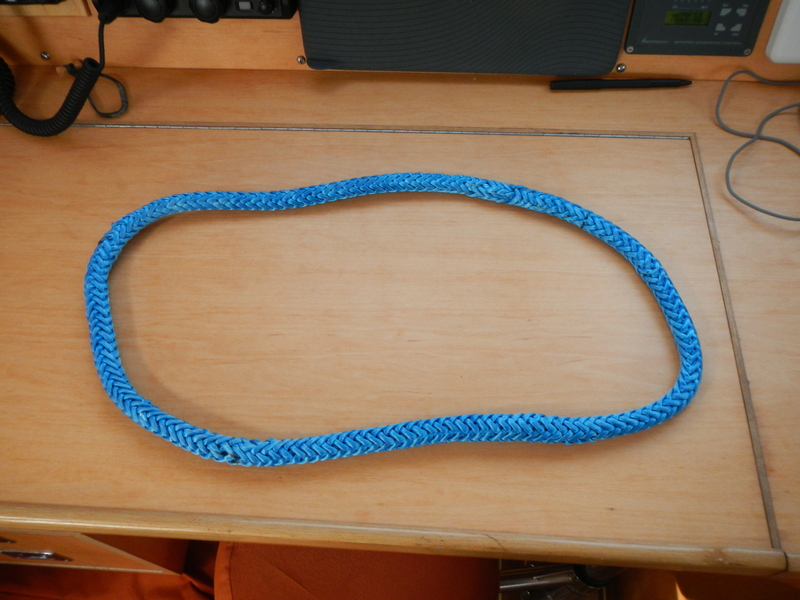 So I was planning to just attach the soft loop at the end of the rope to the chain but I hadn’t fully thought through how to connect the rope to the chain, and was being lazy about it. But recently at Isla Isabel, where the anchoring ground was all rock, I was very worried about our main anchor getting stuck in a rock and us not being able to pull it up. 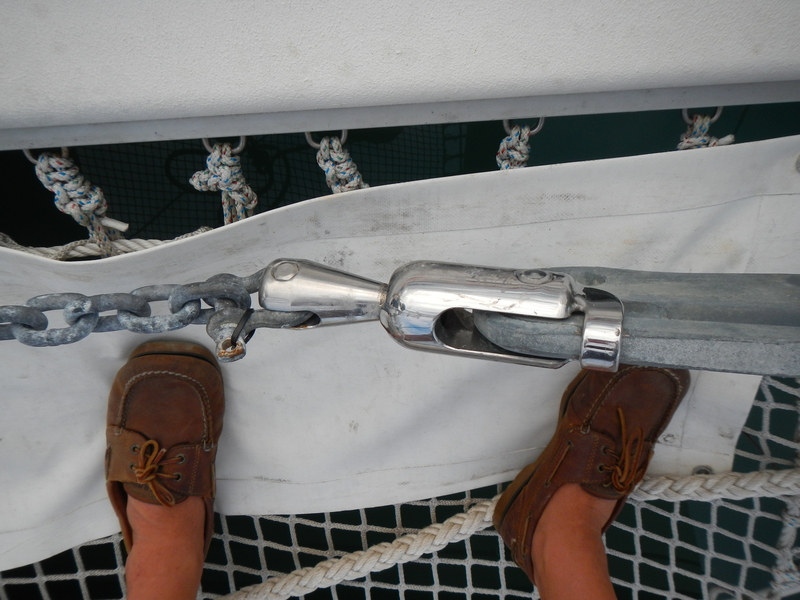 In that situation, you would re-anchor on your secondary anchor and dive to free the primary one. Well, my laziness was coming back to bite us because we couldn’t use the backup. 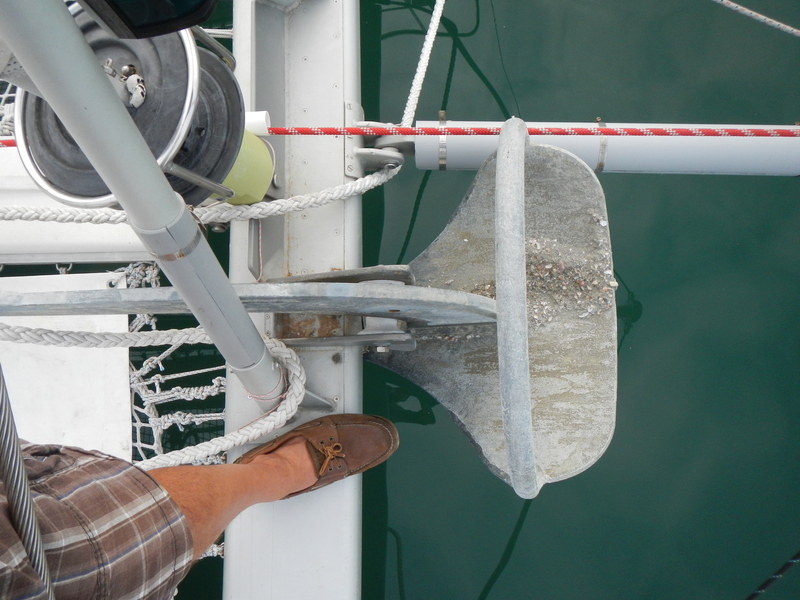 But luckily the primary anchor came up and I quickly got lazy again about the backup. Now that we are safely in a marina one of the To-Do’s was to tackle this. With the help of Allen Edwards who runs the immensely helpful L-36.com website, I made a long loop of Amsteel which I attached to the rope with a prusik hitch and to the shackle on the chain with a cow hitch. Here are some pics. My foot is in there for perspective. This entry was posted in Boat Stuff by Pete. Bookmark the permalink.